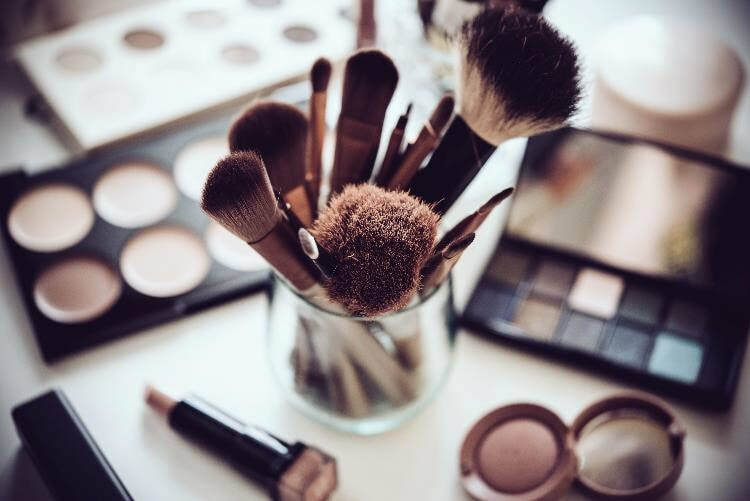 For a clutter-free bathroom and a beautiful you it’s best to declutter your makeup regularly. This doesn't just mean tossing out the stuff you no longer use, never liked, or you have all but run out of. It also means maintaining the keepers so they can effectively do their job of keeping you looking your best. Start by identifying the items you don’t like, want, or use. You have my permission to toss the green lipstick you bought for Halloween three years ago even though you only used it once. You won’t miss it. I promise. Next, look for signs of deterioration which can include discoloration, clumping, separating, drying out, or an unusual odor (or taste in the case of lip gloss). These are all indications that an item has outlived its usefulness. If any of your makeup demonstrates these characteristics, throw it away. 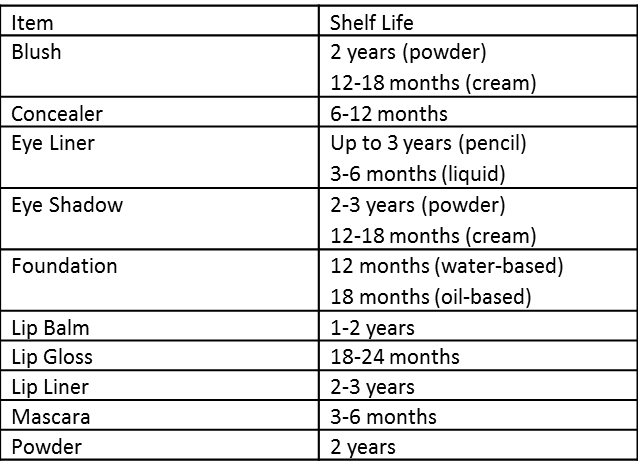 See the chart below for general guidelines regarding the lifespan of various types of makeup. Makeup should never be passed on to someone else. It is, unfortunately, a breeding ground for bacteria. That is why it is important to get rid of old makeup. It is also why caring for your brushes and applicators is an important part of decluttering your makeup. Do it regularly to prevent the spread of germs. Over time, makeup brushes collect an unwelcome assortment of loose hairs, dust, dead skin cells and bacteria. 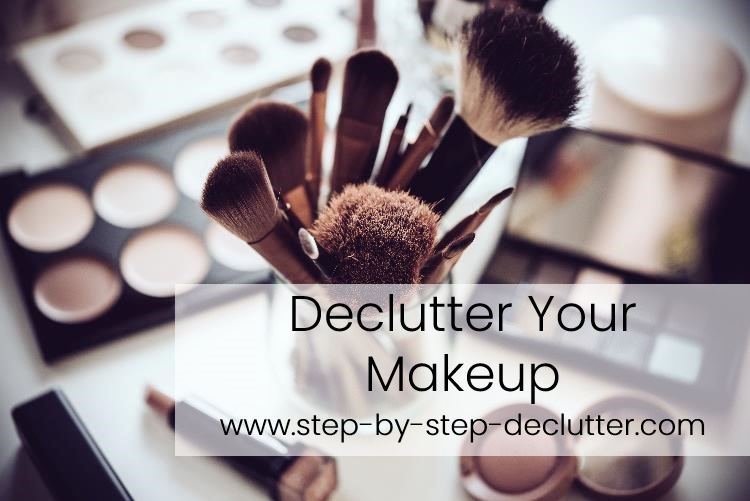 That information alone is likely enough to motivate you to declutter your makeup! Furthermore, the dirtier your brushes become, the less effective they become. Extend their lifespan and get the most for your money by regularly cleaning and caring for makeup brushes. Makeup brushes should be cleaned weekly. While that may not always be realistic, the more often you do it, the better your brushes will work for you and the longer they will last. Wet the brush under warm running water. Be sure to keep the bristles facing downward to prevent water from seeping under the metal band (ferrule) which connects the bristles to the handle. This can cause the glue that holds the bristles in place to loosen over time. Using a dab of shampoo, gently cleanse the bristles of your brush with your fingers. Rinse thoroughly, being sure to keep the bristles facing downward. Carefully squeeze out excess water and pat dry with a soft cloth. Then lay the clean brushes on the cloth to dry completely. If you use sponge applicators, keep in mind that they harbor bacteria which can cause acne. Consider buying inexpensive disposable applicators which you can discard after each use. If you are concerned about cost, you might try using one side of the applicator one day and the other side the next day, thereby getting the most for your money. If you don’t toss your applicators out after each use, be sure to cleanse them thoroughly every few days. Regularly cleaning your make-up brushes and applicators will keep them feeling soft and supple. In addition, this practice helps to prevent the spread of acne. When you declutter your makeup you keep yourself and your bathroom looking great. Make caring for these personal care items a regular part of your bathroom clutter maintenance. If you know someone who would benefit from this information, please share it using social media. Then leave me a comment in the section below so I can thank you personally.